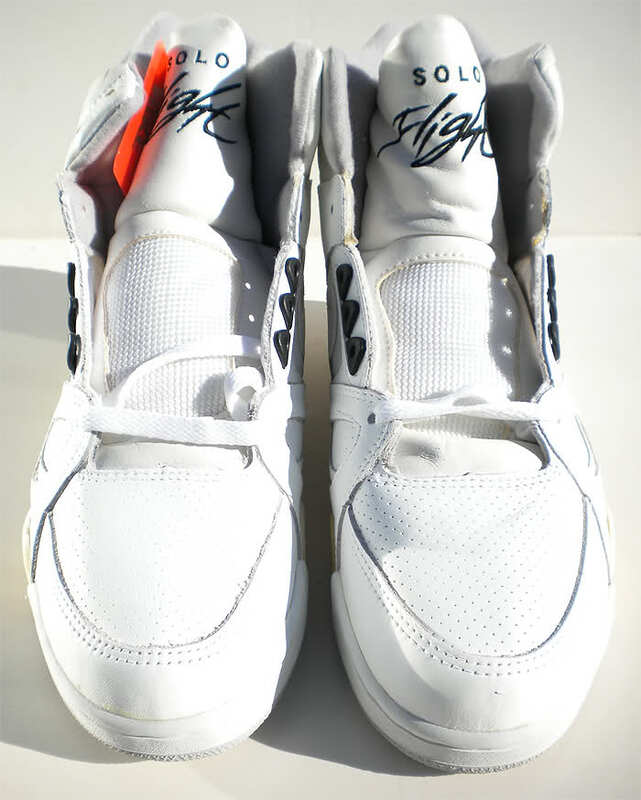 You are bidding on one pair of Vintage Nike Air Solo Flight from 1989. 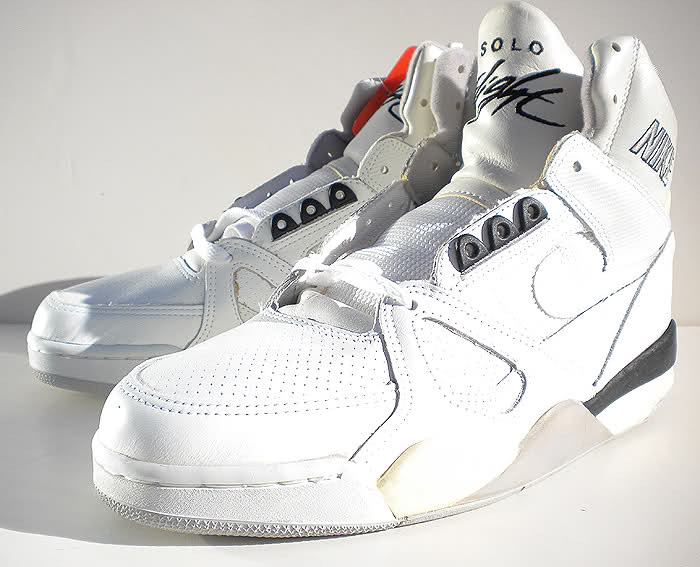 The solo flight was the counterpart to the “air flight” model at the time, the air flight eventually being retroed as the “air flight 89,” but this particular solo flight model never saw the retro treatment. 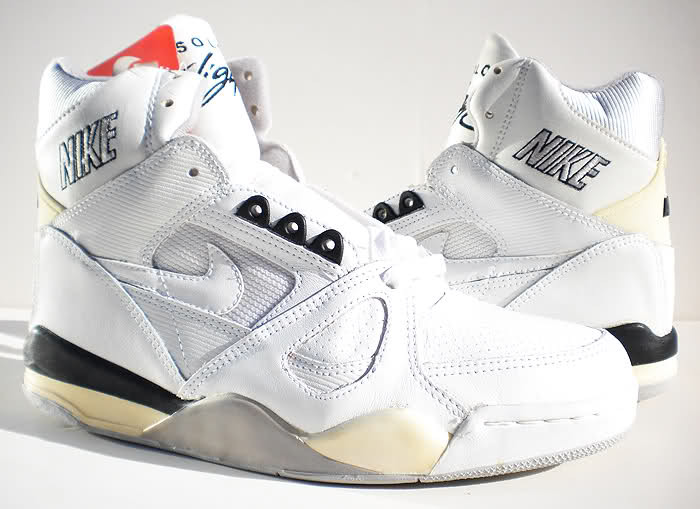 This model was worn on the court by NBA stars of the late 80’s such as Ron Haper, Mark Jackson, and Larry Nance, and worn by hip-hop stars of the era including everyone from Big Daddy Kane to NWA. 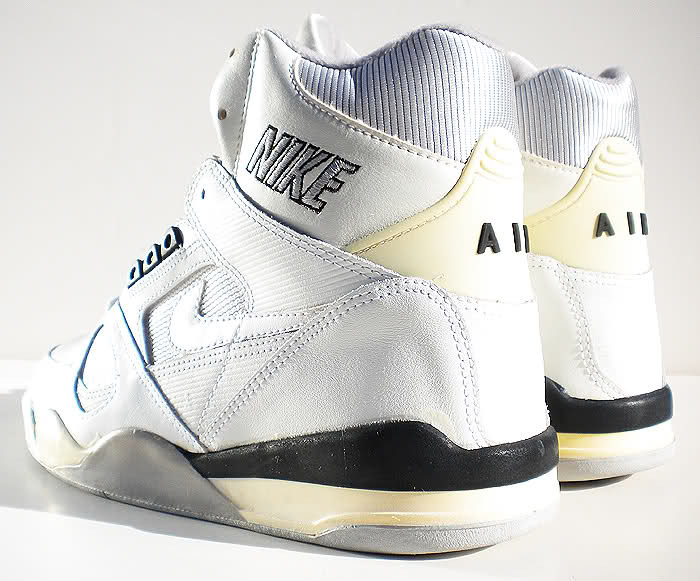 A legendary piece of OG Nike memorabilia, these really take it back to the late 80’s nostalgic feel. Please don’t waste time second guessing the authenticity, this is the real deal. On to the flaws. 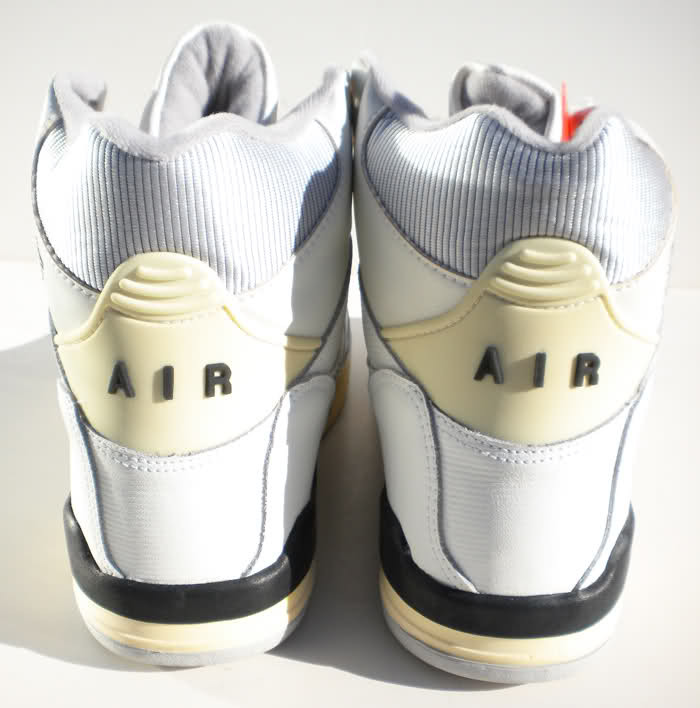 As expected, there is minimal yellowing to the midsoles and heel tabs in the back. 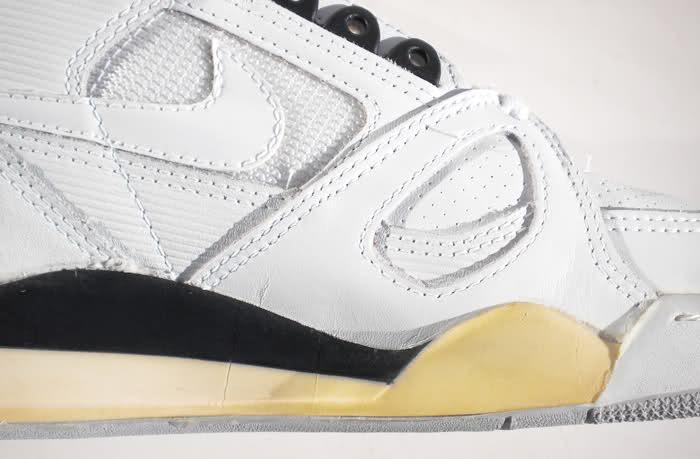 The only evidence of cracking to the midsole shows on the left shoe only, there is no cracking on the right shoe. 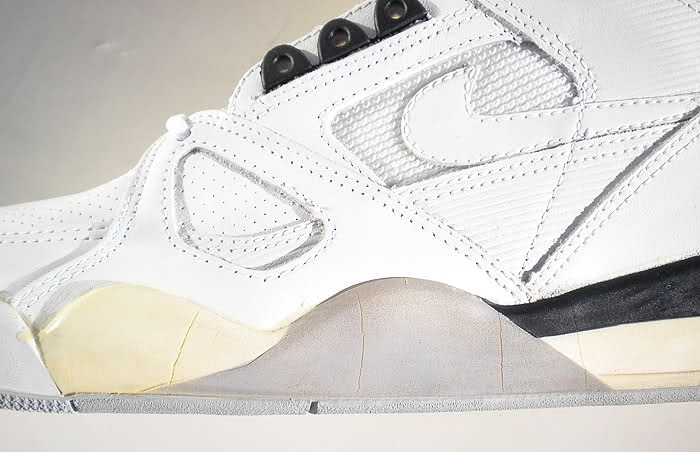 I’ve included detailed shots of the cracking which occurs on both the inside and outside portions of said left shoe. 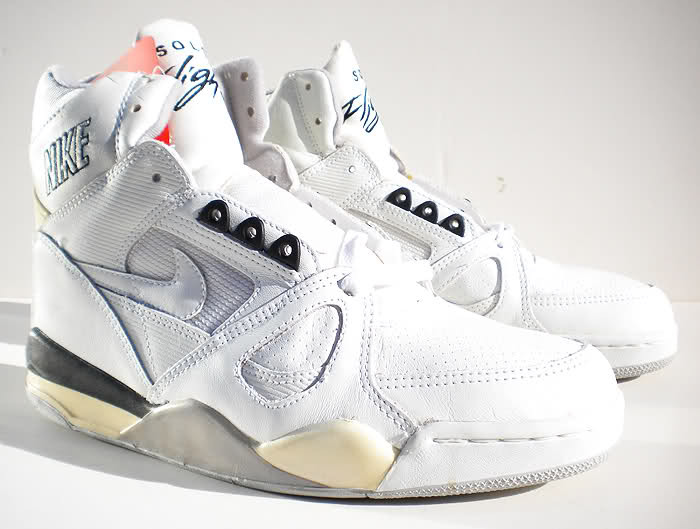 This pair is brand new, deadstock, and never worn. 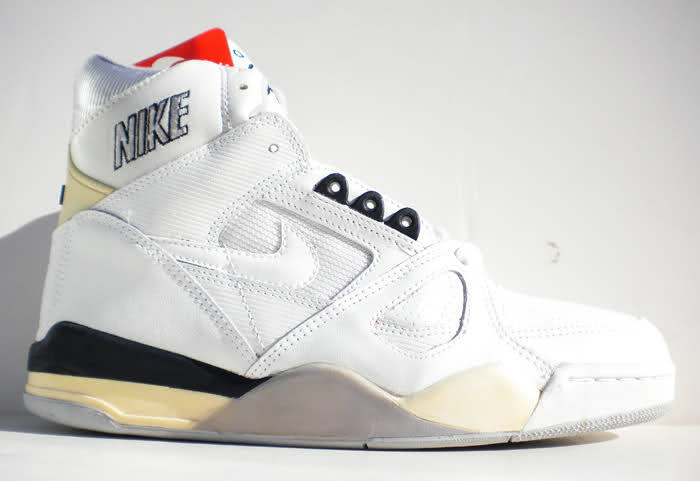 They include the original box and the original hang tag is still attached, a collector’s dream. My loss is your gain! 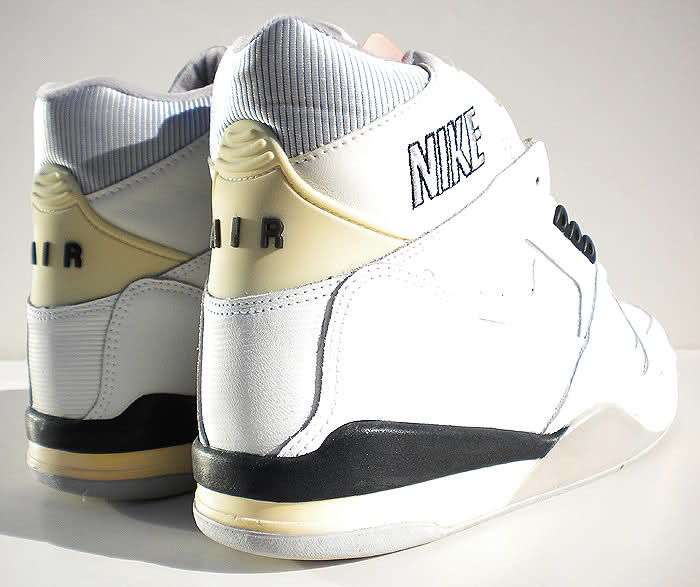 You may never see these shoes again…Get them now before it’s too late!